I am so glad that I keep a calendar to remind me about blog posts otherwise I would have totally missed this one. It just doesn't seem that it had been two weeks already since I did a post of earrings. Ah well. One reason for this challenge is to keep us accountable and kinda on track. 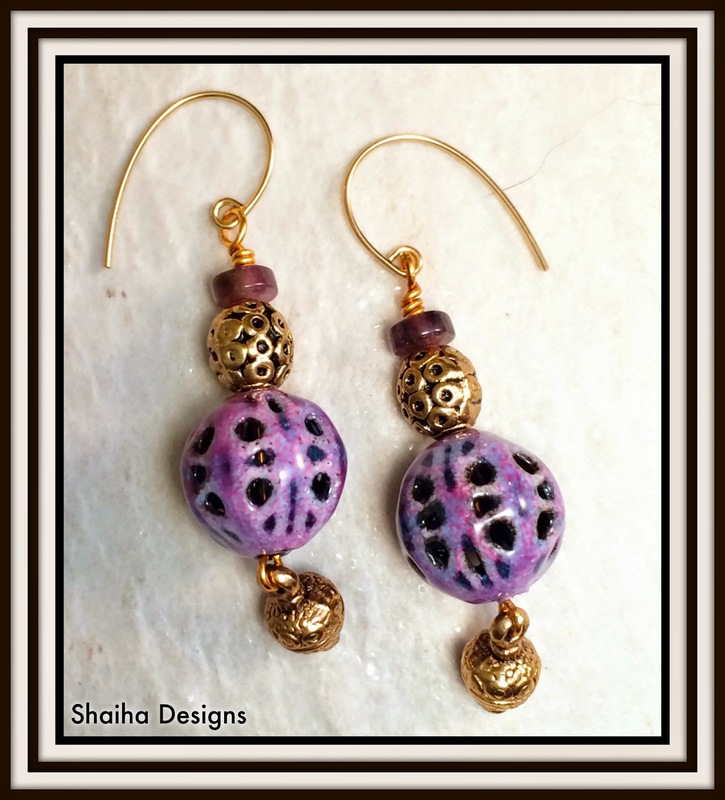 New Earrings Monday is the brainchild of Sarajo of SJ Designs. You will want to head over there to see what everyone else has designed in the past couple weeks. Now onto what I have been up to. 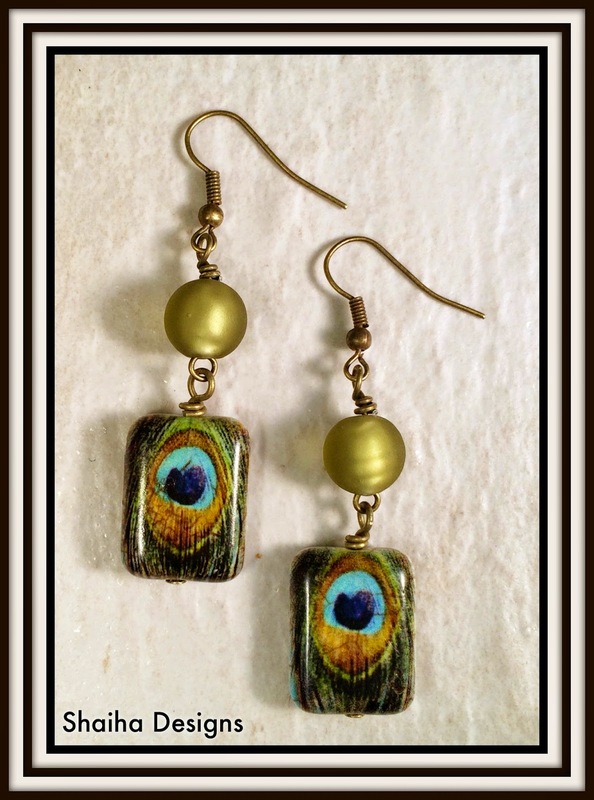 This pair of earrings came about when I was digging through a box of Czech glass that I have and found these peacock beads. I just happened to have those olive beads hanging about on my table and well you can see the result. These are being donated to Ears To You. I have had those gorgeous enameled beads from Sue Beads forever. I have a bowl of earring pairs from Sue that I take out and fondle once in a while. This time inspiration struck and they went together along with golden pewter beads and dangles, some amethyst heishi and 14K ear wires. I will be sending then off to a friend that has been battling health issues and always wears earrings. These are both so lovely and unique. Your friend will surely love the lavender pair! I'm completely in love with your first pair... those peacock beads are so pretty and you came up with such a perfect pairing. Don't you just love when things just fall into place like that? Thanks for playing along with me!